I'm always enchanted when I happen upon an artist with an interest in making works out of natural materials, like leaves and twigs, that are often stepped on and overlooked in the natural environment. Thanks to a friend, Jocah, I came across an artist named Susanna Bauer who resides in Cornwall England who originated from Germany, whose focus on creating artworks which represent tension & fragility are somewhat similar in tone to what I hope to achieve in my own work. People often ask me how long it takes to create my artworks and convey that I must have super-human focus and patience. I don't really. I've just decided to dedicate myself to feeling grounded in the environment and the landscape I'm in by immersing myself in 'play' for a few hours at a time. The materials lead me to an 'arrangement' that somehow whisper to me ... 'this is it'. I imagine Susanna must feel the same way. Susanna Bauer worked as modelmaker for advertising, television, film and artists in Germany, Ireland and UK and has studied Landscape Architecture as well as studying at Camberwell College of Art, London. Her acute observation and attention to detail produce these exquisite objects that remind us of the feeble and precarious nature of our own existence. Susanna Bauer is represented by Badcocks Gallery and Lemon Street Gallery in Cornwall UK and is currently on exhibition until 27th June 2015. I look forward to following her work. Inspiration is a welcome dose of delivered insight. Thankfully, I have been gifted with the motivation to get back to work in the studio after reading the 2012 Phaidon publication of 'Ages Martin, Paintings, Writings & Remembrances' by Arne Glimcher. 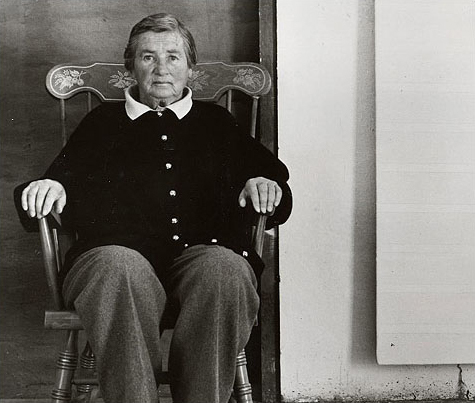 Agnes Martin (1912-2004) was a Canadian born American Abstract Painter. 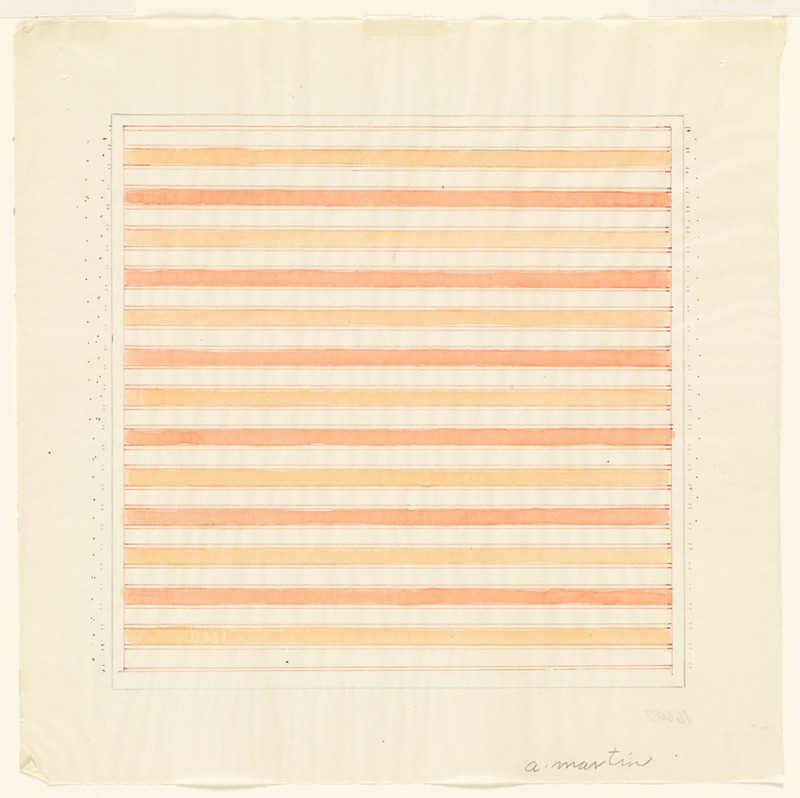 Although often thought of as a minimalist, she considered herself an abstract expressionist. Her subtle yet evocative paintings are an attempt to reveal an interest in Eastern philosophy and reflect her concern with setting aside the personal identification with ego and intellectual ideas. Embracing a somewhat hermetic lifestyle, Martin dedicated her time looking inward to the workings of the mind. We are all called to look within at some stage in our lives, whether thrust upon us via personal tragedy or by means of devotion and joy. I read somewhere in my youthful quest for spiritual enlightenment, that if you 'Don't go within, you go without'. This little saying bubbles up for me often when I find myself getting too caught up in the world of external matters that charge my thoughts with unnecessary disturbance. Martin's commitment to her practice is heroic in my eyes given the ascetic-like conditions she worked in. I'm in no rush to live a solitary life in a cave, but I am thankful for my quiet studio space to reflect on my own practice. Within this little video I learned about non-attachment. Unfortunately, I cannot erase my artwork. But I can stomp on it & throw it in the trash! On my Christmas wish list this year is this piece of furniture created by Benjamin Graindorge. If only we had a bigger house to accommodate it. It would probably be best not to locate it by the fire place too! Thanks to the blog This is Colossal for this one.